View it crystal clear with the ViewSonic PJL7211 XGA LCD Projector - and save a bundle! The ViewSonic PJL7211 is an advanced 3LCD projector which delivers 2200 lumens with a 1024 x 768 XGA native resolution. This projector is designed for table-top use or can be mounted on the ceiling for classrooms and meeting rooms. The top load lamp and bottom filter with slide design provide for easy maintenance. There are 7 default picture modes (Normal, Cinema, Dynamic, Blackboard, Greenboard, Whiteboard and Daylight modes) to choose from depending on the user’s projected source. Whisper mode helps extend the lamp life and drops the fan noise down to 30dB. For increased security, a PIN lock feature allows you to set a password to prevent unauthorized use and Kensington security lock. One reason to buy the ViewSonic PJL7211 now? It’s available at US $457.96 , ships for FREE with Super Saver Shipping, so you save US $291.04 (that’s 39% off!). We Rule: your personal mobile feudal reign - almost Farmville - on iPhone! Let’s admit it, we can’t look forware for Zynga to release any Farmville sort-of for iPhone & iPod touch. In the meantime, meet Ngmoco’s We Rule for iPhone. In a nutshell, it’s a free game for iPhone in which you manage and rule (!) your personal medieval world! Most elements in We Rule will be immediately familiar to Farmville fans: reign building starts right from harvesting field, selling products, gettin’ money and so on. This is, of course, embedded in a sort of social world where you interact with lots of other users and trade crops/stuff with them. Dell Inspiron Mini 10: a Netbook with Integrated TV Tuner - and some savings too! The Dell Inspiron Mini 10 is a compact, easy-to-carry Internet companion that’s ideal for helping keep kids, teens, bloggers and travelers connected from just about any location at any time–whether on the couch or on the road. You’ll also be able to watch your favorite TV shows wherever you roam thanks to the internal digital TV tuner. With the integrated digital TV tuner, you’ll be able to catch your favorite programs wherever you roam; moreover the the Dell Inspiron Mini 10 includes three USB ports, a VGA video output, and 3-in-1 memory card reader. This netbook is powered by the 1.6 GHz Intel Atom Z530 processor, which is designed especially for mobile devices and features an innovative hafnium-infused circuitry that reduces electrical current leakage in transistors to conserve energy: thanks to a 6-cell battery for up to 6.3 hours of battery power. 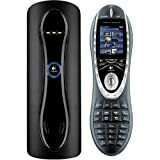 You’ll be able to surf the Web, chat with friends (both via text and using the integrated 1.3-megapixel webcam), and upload on-the-go photos to blogs or social networking sites. Standard built-in Wi-Fi wireless connectivity means quick and easy Internet access to hotspots in the home, on campus, in a local coffee shop, or in the office. It comes in a range of colors, including a shiny Obsidian Black. The Dell Inspiron Mini 10 comes preinstalled with the Microsoft Windows Windows 7 Starter and it’s available now for US $303.84 (that’s 24% or US $96.14 off its regular price) so hurry up! Charging iPod and iPhone at once? Look no further than Griffin Powerdock Dual-Position Charging Station - and save a lot too! So you’ve got two iPods but only one power socket. What’s a gadget fan to do? Well just buy the Griffin Powerdock ! There isn’t much to say about the Griffin Powerdock , it’s just one of those devices that does exactly what it says it does: charge two iPods at the same time from one power source! In the box you get a power cable with various country tips on it, the silver docking station that takes two iPods and a plethora of cradles to fit all manner of iPods from years gone by. Charging your iPod(s) is as simple as dumping it in the dock and waiting for them to charge. With zero indication on the unit itself you do have to look at the iPod itself to see how much longer you need to charge for, but it’s not biggie. With Griffin Powerdock Charging Station you get eight Universal Dock inserts to fit most iPod models that charge by dock connector so you don’t have to buy any extra connectors: just plug it in! The Griffin Powerdock is available right now with 41% saving at US $ 29.55! Most DSLRs today sport live view features, as we all know, but being able to remotely watch a scene and control your DSLR is another story, isn’t it? The Aputure Gigtube is a plug-in, external LCD display and camera controller for digital SLR cameras. It works with all the major digital SLRs (except Sony) and provides a live feed via the camera’s LiveView function. If LiveView isn’t available on the camera, the Gigtube will still display the photo that has just been taken so you can review it. The Gigtube’s screen is a 2.5″, 230 kpixel 16 million colour unit and it connects to the camera via it’s video out port and USB control port. It comes with a 2m extension cable or you can attach it to the camera via the flash hot-shoe. The display rotates 270° and it has a built-in rechargeable battery that will last about 3 hours on a full charge. Compatible with any camera with a video output, the Aputure Gigtube screen can automatically display an image immediately after shooting it, or can stream the video feed from live view. Moreover, the LCD screen is rotatable for different angle view and this gadget offers the remote shutter release function. How can you use it? How is the Aputure Gigtube going to come in handy to the pro-am photographer? 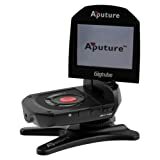 Aputure Gigtube is usefully in the situations where the camera is positioned in a way that makes viewing the camera’s screen difficult or impossible. There is a hot shoe mount for making above-the-head and low-angle shooting easier. specifically for Nikon (D700 /D300 /D300s/D3/D3x/D200/D2Xs/D2Hs/D2x/D2H Cameras) or Canon (EOS 5D/50D/40D/30D/20D/1D Mark III/1Ds Mark III Cameras) among others. The good news is that now they are available with some interesting discount (up to 37%) at around US 189.95! Fujifilm FinePix Z30: compact, stylish and easy digital camera! The Fujifilm FinePix Z30 may look like a toy, but this fashion-first point-and-shoot camera takes excellent photos. Boasting a high-resolution 2.7-inch LCD screen, the 10-megapixel FinePix Z30 has a Fujinon 3x optical zoom lens and is designed for ultra-portability, making this the ideal camera for the fashionista on-the-go. Like its predecessor, the Fujifilm Z20, the Fujifilm Z30 can Face it, Blog it and Roll it. Users can Face It with Fujifilm’s innovative Face Detection Technology with Automatic Red Eye Removal for capturing the ultimate group shots; Blog it with the innovative Blog Mode, making it effortless for social-media-savvy users to post pictures and videos to personal profile pages, blogs and video sharing websites or simply to e-mail to friends; and Roll it with the Successive Movie mode that allows users to create 60 second movie clips. Starting with the front of the Fujifilm FinePix Z30 , a shiny, button-bedecked faceplate protects the lens when the camera is powered off; sliding it to one side turns the camera on. The shutter button and the speaker are the only two items on the top of the camera. A slightly grainy 2.7in-diagonal LCD and 10 rubber buttons handle all of the controls on the back of the FinePix Z30. The Fujifilm FinePix Z30 is available now for US $76.95 (you save: $73.00 [-49%] ). Here comes a trio of docking stations and speaker systems that you’re gonna love! There’s something for anyone using an iPod, with a specific purpose for every moment of your life. Little tip: you can get ‘em with substantial savings, so you’ll be even more glad to hear your iPod playing! iHome and Harley Davidson have teamed up to bring you a Harley-themed iPod/iPhone speaker and alarm clock, for those who like to display their allegiance by their bedside, in their kitchen, or anywhere else where a little music and Harley style is needed. This cool little system allows you to wake and sleep to your iPod, iPhone, or even authentic Harley Davidson motorcycle sounds–that ought to do the trick! Your iPod/iPhone charges while docked, and a remote control is also thrown in and you can use the HDP66’s auxiliary line-in jack to connect external MP3 players, CD players, and other audio devices. The IHOME HDP66SC features an eye-catching Harley Headlight design to house its speakers, with the middle “headlight” displaying the time and other info. That middle headlight also happens to house a subwoofer, for a little Harley rumble in a small package. The sound of a well-tuned Harley is a much-revered part of its mystique, and one thing is certain: it’ll wake you up. The HDP66 gives you the option to wake to authentic Harley Davidson bike sounds. Of course, for something more gentle, you can wake to your favorite iPod/iPhone tunes. The IHOME HDP66SC is available for US $57.31 (a bargain, since you save $72.68 -56%)! 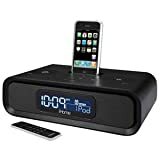 At home or on the go, iHome Portable Stereo Alarm Clock is a great way to listen to your iPod/iPhone music loud and in style. Housed in an attractive, fabric-wrapped protective shell, you can enjoy listening to your iPod/iPhone while it charges, or use the built-in alarm clock to wake and sleep to your tunes. 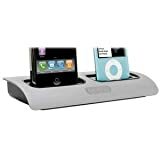 The iHome IP38 ’s Universal dock plays and charges most docking iPod models (in addition to using them for the alarm). So when you’re ready to hit the road, so is your iPod. iHome’s iP99BR was designed with iPhone users in mind, engineered to shield and avoid annoying iPhone/mobile phone GSM noise. That means no “airplane mode,” so you won’t miss calls while your iPhone is docked. Also, the iP99 is packed with lots of innovative features, including alarm settings to complement your lifestyle so you can wake to your own custom iPhone playlist at different times on different days, a remote that controls the unit and iPod menu functions, AM/FM radio with presets, programmable snooze settings, and SRS WOW for an enhanced audio experience. With iHome’s Reson8 speaker chambers, you’ll be able to enjoy great stereo sound around the clock. 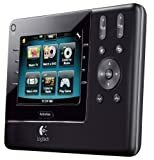 The iHome iP99BR it’s available for $129.95 (it’s $20.04 off its regular price). A touchy digital camera: Panasonic Lumix DMC-FX580 with touchscreen - and a deal too! Panasonic’s newest slim and stylish touch-screen digital camera, the Panasonic Lumix DMC-FX580 (the successor to DMC-FX500), features 12.1-megapixel resolution, 25mm ultra-wide-angle LEICA DC lens with F2.8 brightness, 5x optical zoom, large 3-inch touch sensitive LCD screen and newly developed Venus Engine V processor that includes twin CPUs to boast approximately 2.4x processing capability. The Panasonic Lumix DMC-FX580 may look like Just Another Ultra-Compact Camera, but it has two features that most cameras in its class do not. The first is a 3-inch touchscreen LCD display. While many camera manufacturers have touchscreen cameras, the FX580 is somewhat unique in that it doesn’t force you to use the touchscreen for everything — there are “regular” controls too. The DMC-FX580’s touch-screen is a hybrid operation system combining the new touch-screen interface and a conventional operation system with the cursor key for intuitive control, and it comes in an aluminum body in silver and black colors. The Panasonic’s Lumix DMC-FX580 is available now with huge savings for $209.95 - that’s 40% less (you save $140.00)! Right from PMA2010, Pentax Optio I-10: old-fashioned look plus hi-tech features, sleek and compact! The Pentax Optio I10 is an old-fashioned & retro camera from Pentax just announced at PMA 2010. The Pentax Optio I10 comes with a 12.1 megapixel CCD sensor and a 5x optical zoom. This old-Fashion Point-and-shoot camera has up to 6400 ISO sensitivity, gyro-based image stabilizer and features an HD Video recording in 1280×720 resolutions. Integrated with a 2.7-inch LCD display, a 26.7MB internal memory, and expandable with SD/SDHC memory card. Other features a Pet Detection mode and Face Detection. Measuring 100.5×65×28 mm and weight 153g. The Pentax Optio I-10 is available in white and black colors. Retro look but plenty of features! The nostalgic, eye-catching design of the Optio I-10 resembles classic film SLR cameras. Pentax positioned the flash unit and speaker in the upper mid-section of the camera body to create this original SLR-shaped body, and the leatherette texture and classic 20th century Pentax logo add elegance to the camera design. The Optio I-10 features an optical 5x zoom lens that covers focal lengths from 5.1mm to 25.5mm (equivalent in the 35mm format to approximately 28mm wide angle to 140mm telephoto). This wide zoom range allows the Optio I-10 to capture a wide variety of subjects and scenes from breathtaking landscapes, majestic architecture and group shots in a confined space, to tightly cropped photos shot from a distance. An Intelligent Zoom function allows even tighter zoom on subjects and extends the digital zoom range to approximately 31.3x. With 12.1 effective megapixels, a high-performance imaging engine, and the camera’s high performance Pentax zoom lens, the Optio I-10 delivers brilliant, high quality images with well-defined details. Even when enlarged, the images deliver sharp, high-resolution prints with edge-to-edge sharpness. The Optio I-10 features an improved Face Detection AF & AE function that detects up to 32 faces in the image field and captures them all in sharp focus with optimal exposure in just 0.03 seconds. This upgraded Face Detection technology now allows users to adjust the camera to detect dogs and cats. Users may program the camera to automatically release the shutter the moment the subject faces the camera, which is especially helpful for pet photography. The Optio I-10 incorporates an advanced CCD-shift-type Shake Reduction (SR) mechanism that compensates for camera shake by shifting the camera’s image sensor (CCD) horizontally and vertically in relation to the amount of shake detected by the high-accuracy gyro sensor. This offers outstanding camera-shake compensation equivalent to up to 2.5 shutter steps even when shooting telephoto or in lowlight settings such as sunsets or indoors. The Pentax Optio I10 is available now for US $274.36. You are currently browsing the SourceCrowd.com weblog archives for March, 2010.